Your Life's Real Purpose . .
People are forever wondering their purpose in life . . but don’t you know by now?!! It’s not some big mystery. Yes, you might accomplish something marvelous and new; or change history, but your purpose is to give away as much of what lives within you as you possibly can . . in the way of love . . hope, compassion, concern besides. Give your heart away, you can never give so much of it that you’ll be left without any for yourself. For those who assume this is about money, or some service. It might be as an indirect result. But without love attached, and without love as the just cause and motivation – nothing you do, are or give means much anyway! Love is the blessing, love is the reward, love is what you give, what you take, what you ponder and what you make! Your intention in living should be to create a heart so unselfish for its outpourings, that it is known throughout the world as such. That is your purpose. Go ahead and create what you will, make what you might, form anything by hand or lead us to greatness. But first, consider love. And by love and for love’s sake, everything you do shall be known and all you experience shall be cast. It’s impossible to drench yourself in the waters of love and not quench your thirst, bring relief to your soul and fill your spirit with its Source. Look at the world thirsting, dry and anguished . . even with all it’s inventions, all it’s wealth and all it’s busy people doing great things. Our concern for a legacy should be about what we leave for the world, from our hearts making! 1 Peter 4:8 . .
1 John 4:7 . .
8 Love never ends. As for prophecies, they will pass away; as for tongues, they will cease; as for knowledge, it will pass away. 9 For we know in part and we prophesy in part, 10 but when the perfect comes, the partial will pass away. 11 When I was a child, I spoke like a child, I thought like a child, I reasoned like a child. When I became a man, I gave up childish ways. 12 For now we see in a mirror dimly, but then face to face. Now I know in part; then I shall know fully, even as I have been fully known.13 So now faith, hope, and love abide, these three; but the greatest of these is love. 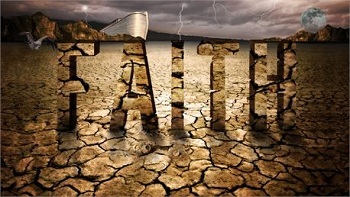 I don’t think we can endeavor to be walking by faith too much these days! The world itself is our constant and daily reminder. This world is of sin, this is the fallen world. This world itself cannot offer us of peace of mind, contentment in our soul or rest for our spirit. This world has its true beauty and its genuine sources of joy, even moments of peaceful surrender; but this world cannot offer us a ny lasting measure of inner bliss unless we create it there within for ourselves. We have to learn the art of walking by faith towards the unknown, in a state of purposeful peace regardless what happens around us or even to us, for the sake of our own contentment; so that we might dwell in bliss whenever possible. Our bliss, our happiness and our peace are not to be made contingent upon the world’s condition or the state of things, or the circumstances in which we find ourselves. 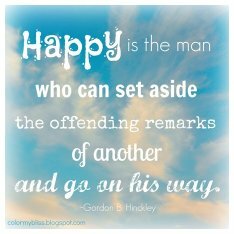 Our state of bliss cannot be found in the actions of others, what they’ll do or say, or in the way we’re treated. Our state of bliss, like a necessary tether of faith to more than this world, ensures that we don’t allow ourselves – our very souls and spirits – to suffer too much in this world. When we have faith in our purpose for being, when we put faith in our knowledge of who we are as spirits in bodies with souls, living in a fallen world of sin, we then know to put faith in more than our emotions and our feelings regarding all that we are and all that we must endure! Faith is a lifeline; it’s a tether by which we walk through the perilous and the pleasurable, in the storms and in the midst of the calm, whether we’re in battening-down mode or able to jump freely for joy. Faith is what will keep us at peace, mindful of our contentedness, ever resting in some measure of gratitude-based joy from within! Nothing of this world can be the fomenter of our true peace, contentment and joy; therefore we must be the purposeful and practiced creators of our own peace, contentment and joy all from within! And faith is the key. Tethering with faith to a Greater source of life’s affirming worth by accepting our role in it and by assuring our infinite value for our journeys is the key! This world is fallen, but faith reminds us that there is much more than this! 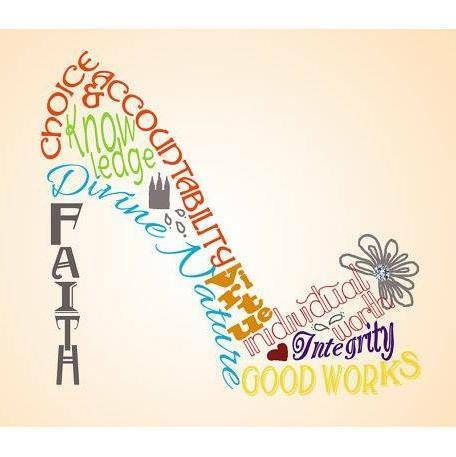 Walk in faith, in each and every step. Positivity!! !……I woke up today minding a bit that I wasn’t where I was supposed to be. These last few days I was supposed to be up north in the cool pines. It was another getaway, and I enjoy getaways during the summer months! Things happen which often make us alter our plans because we must; and so I’m here. I was just thinking though this morning upon awakening that I should be waking up someplace else, where …I’m not. So my remedy for this slight disappointment is to focus on the positive things which I can draw from my days here instead! I saw a movie I might not have seen. I got to have lunch with a friend whom I hadn’t seen in a while. I had a nice phone conversation catching up and sharing some plans with another friend, whom I’ve wanted to collaborate with for some time now; all which might not have been possible were I spending my night last night with friends up north. I’ve enjoyed milder temps here in the Valley, enjoying the less searing heat. I got to appreciate the moon from the familiar vantage point of my own place. It all worked out perhaps as it was meant to . . and I surely am endeavoring to make the best of my days even if they’re not going as first planned! Sometime within the next few weeks is more than enough time to go again. I’m learning that the secret to any situation is to find within it everything for which there is to be grateful! When you choose to see the blessings, even in what seems errant or unwelcome, you provide for yourself an ability to see beyond the disappointments, the inconveniences, the dramas and even the painful realities. This for me surely qualified as just a disappointment, but in looking for the positives in the slight letdown, I am able to turn my eyes towards the proverbial constant sunshine with rosy sunglasses on!